You don't need to be a wheelwright to make good use of this time-honored tool. The spokeshave can round over just about any furniture leg or table edge. And may woodworkers enjoy using the spokeshave to make chair spindles and other round parts. Spokeshaves are matle in several different sizes with concave blades of varying radii. 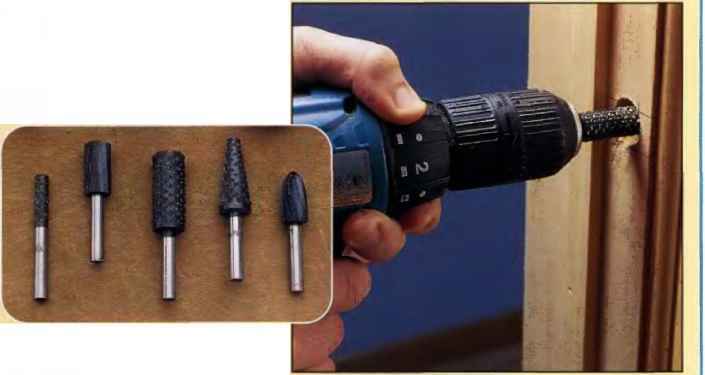 Here's a sampling of the dozens of rasp bits you can purchase for your drill/driver. How to use a spoke shave to round over a table edge?